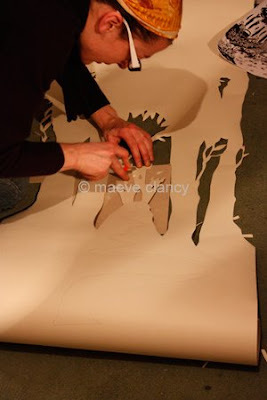 Maeve Clancy is a talented Irish animator, illustrator, and production designer for television and film series. Flatmates is the name of her weekly webcomic that's well worth a look - it's quirky and funny. 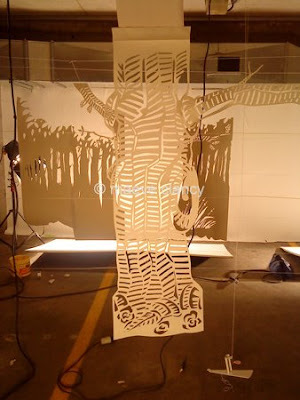 Here's something else Maeve has done that I know all you paper enthusiasts will appreciate - just look at how beautifully her paper cutting illustrates the music video for indie singer/songwriter Lisa Hannigan's song, I Don't Know. 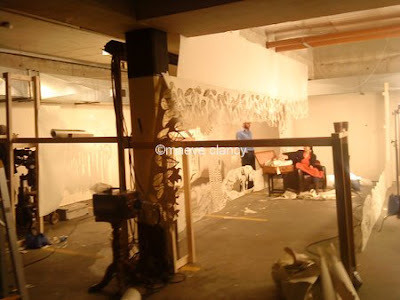 Maeve kindly sent me pictures that were taken during set construction. Behind the scenes shots are great... I love seeing how everything on a big project like this one comes together. 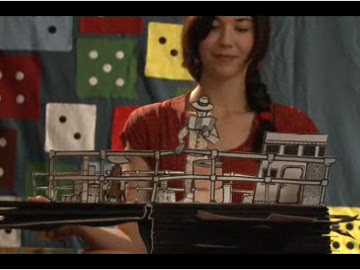 Maeve, along with Jamie Hannigan, Lisa's brother, also made the wonderful pop-up books that are featured in the video for Lisa's song, Lille. 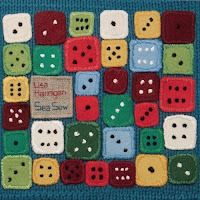 Lisa's CD Sea Sew was released in the U.S. in February. 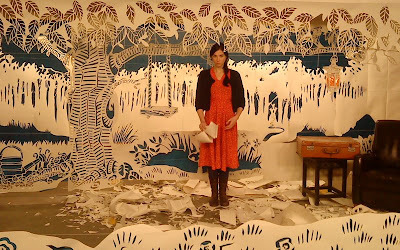 It's no wonder she wanted her music videos to have a hand-crafted look, as Lisa stitched all of the song lyrics on a piece of linen which was then photographed as the liner notes. It took a month to complete and she says she enjoyed the process, "...a really lovely solitary time for me." 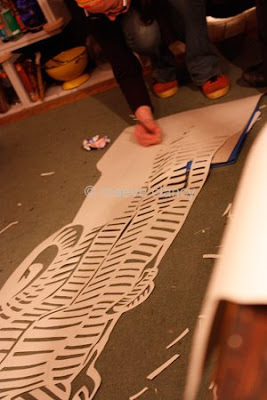 Those of us who work with bits of paper can certainly relate. Wow, the extra pictures she sent along to you are incredible. I really, really love this.